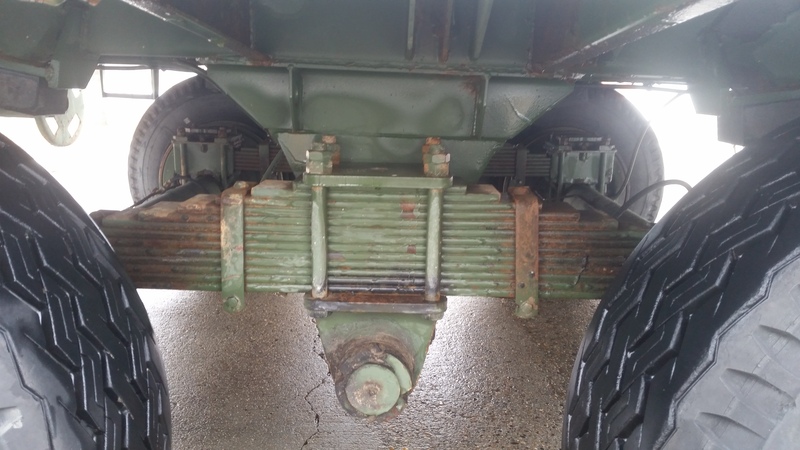 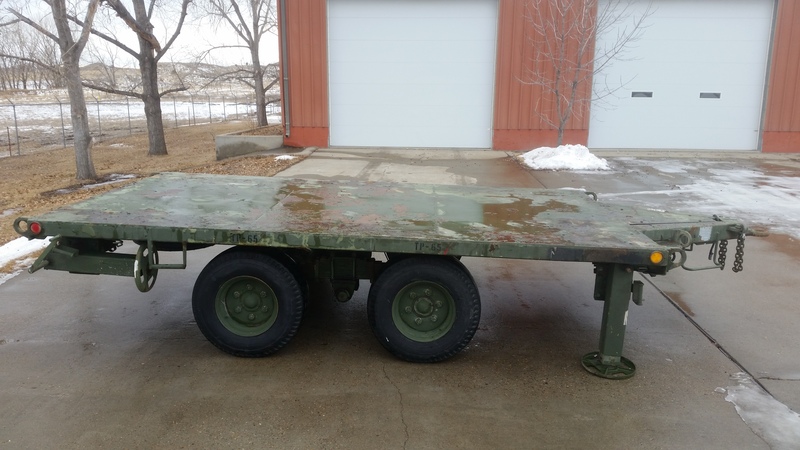 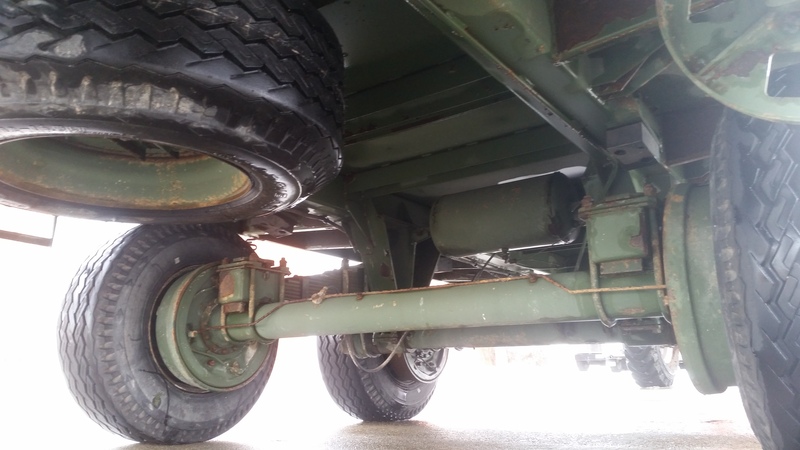 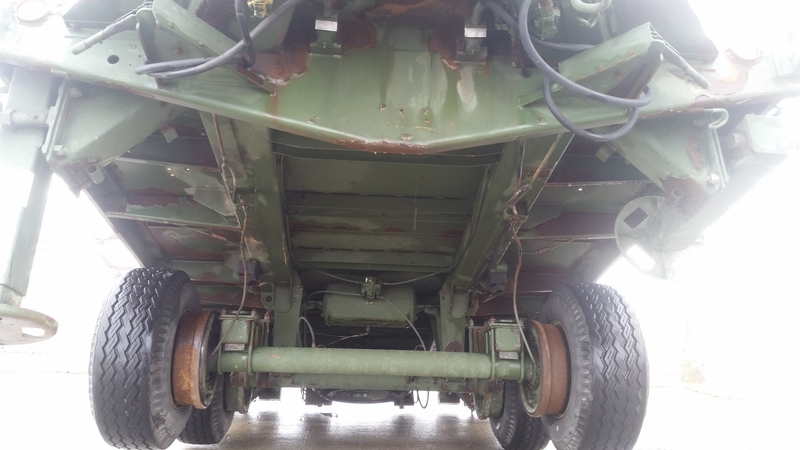 This is a tandem axle, single wheel, heavy duty military trailer. 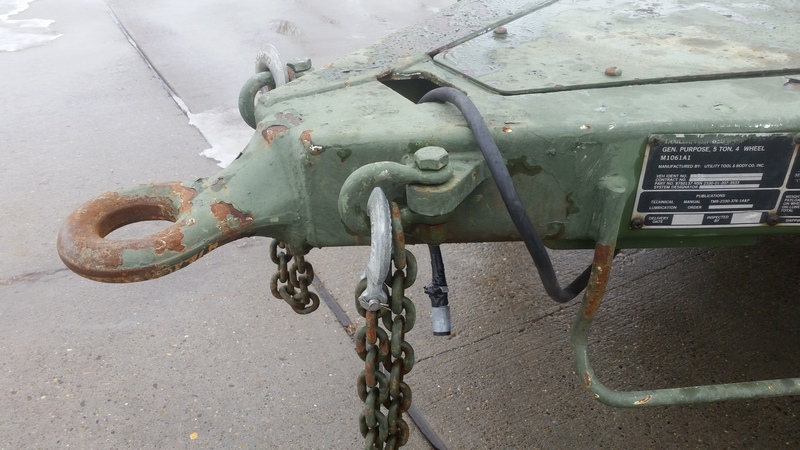 It has a pintle hitch that sits roughly 32 inches high when level. 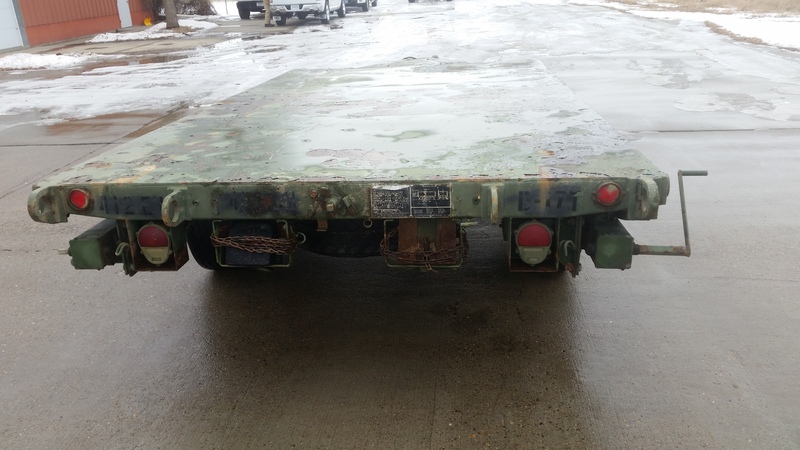 The flat bed is 14 feet long, 8 feet wide, and has a 4 foot long tongue. 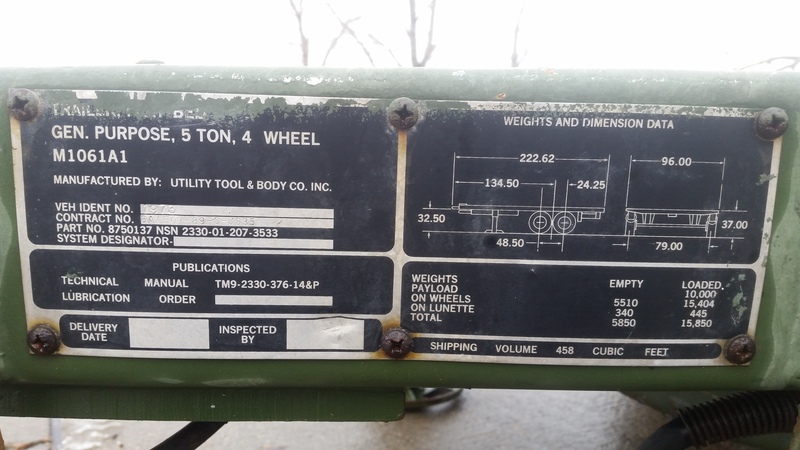 Empty weight is roughly 5800 lbs. 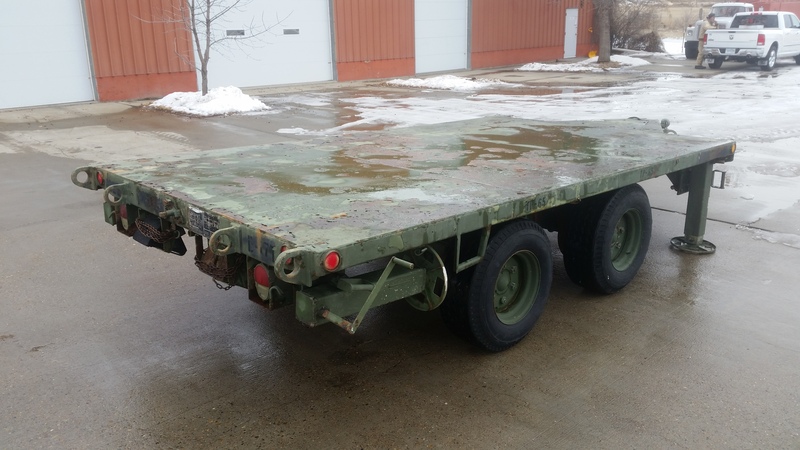 Load capacity is roughly 10,000 lbs. 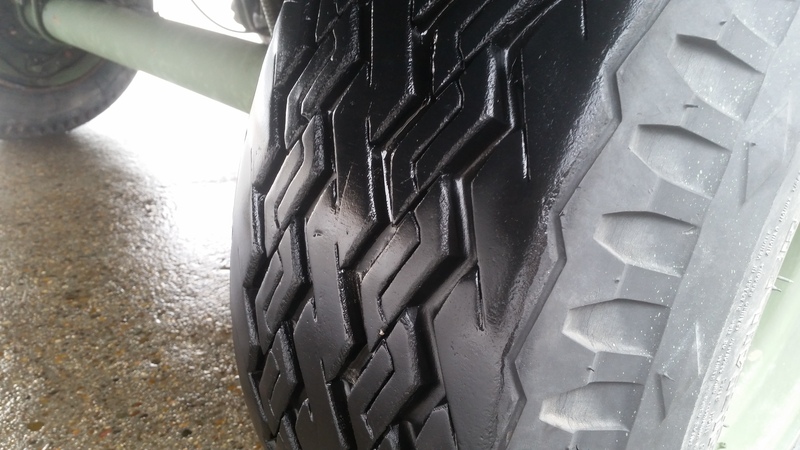 Tires are in good shape with over 0.40 inches of tread remaining and a capacity of 4,000 lbs apiece. 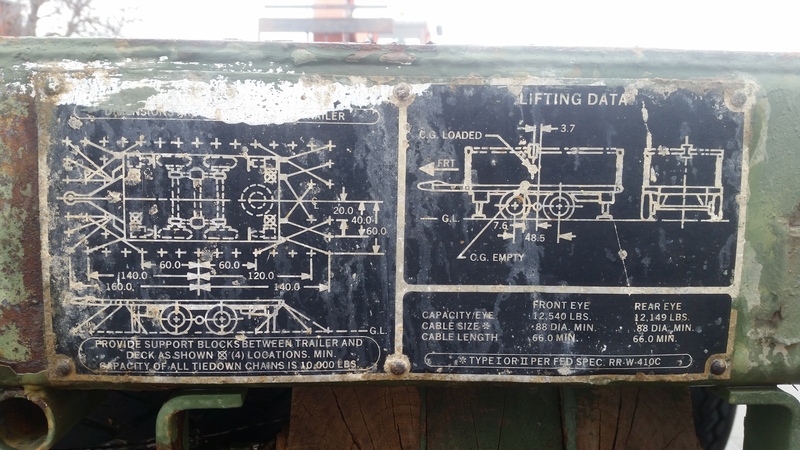 There are four jacks, one on each corner. 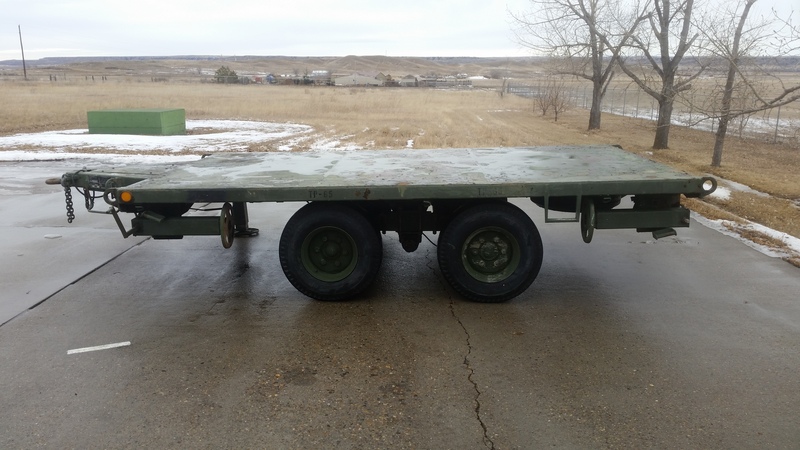 Trailer comes with two removable cranks for the jacks and a spare tire mounted underneath the rear section. 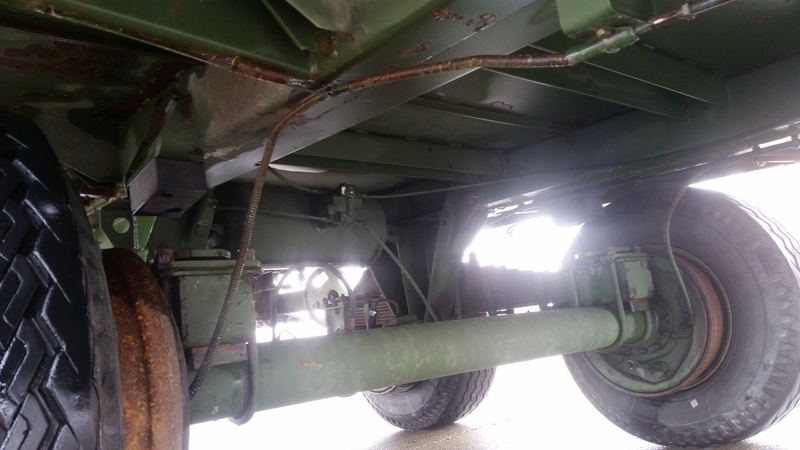 The trailer is rigged for air brakes but as far as I know they were never used and are either not working or need work. 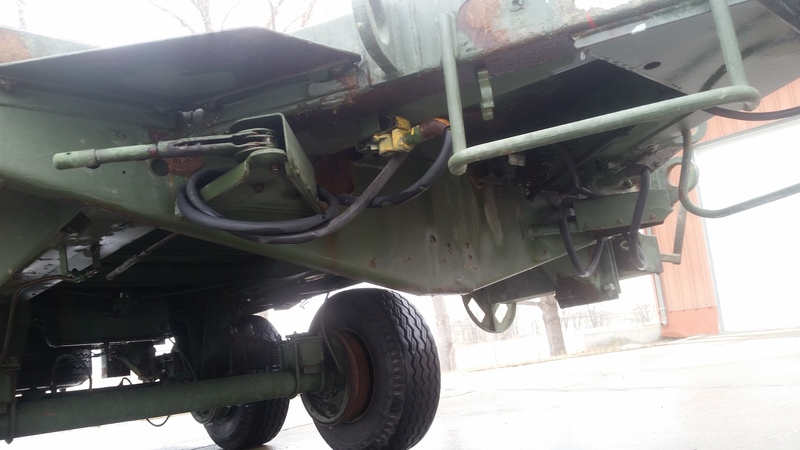 I put a 6-way trailer wire harness on it for lights. 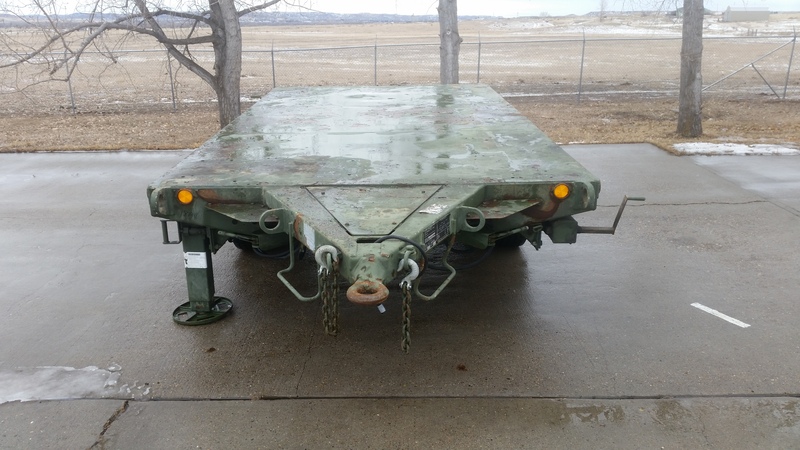 It tracks well down the road and rides just fine. 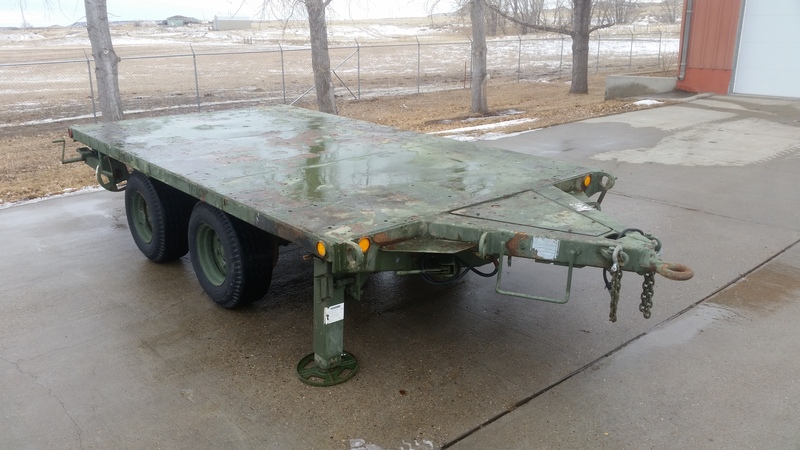 This trailer was used to haul a mounted piece of equipment (~8,000 lbs.) 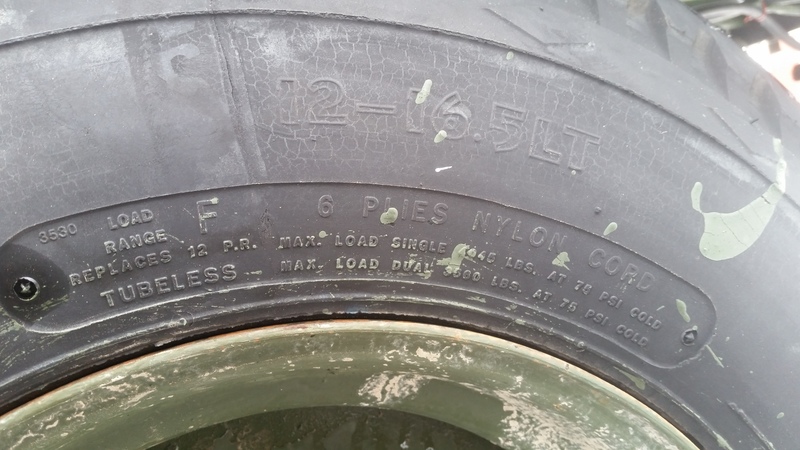 short distances. 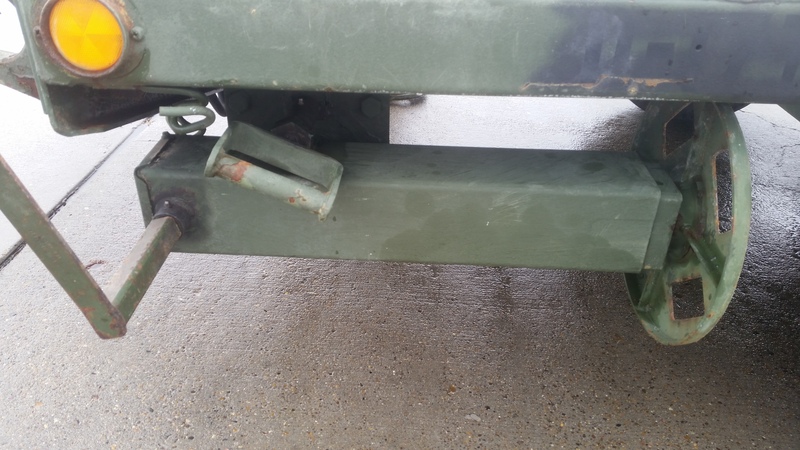 It was purchased for the equipment that was mounted on it, but we have no foreseeable use for the actual trailer. 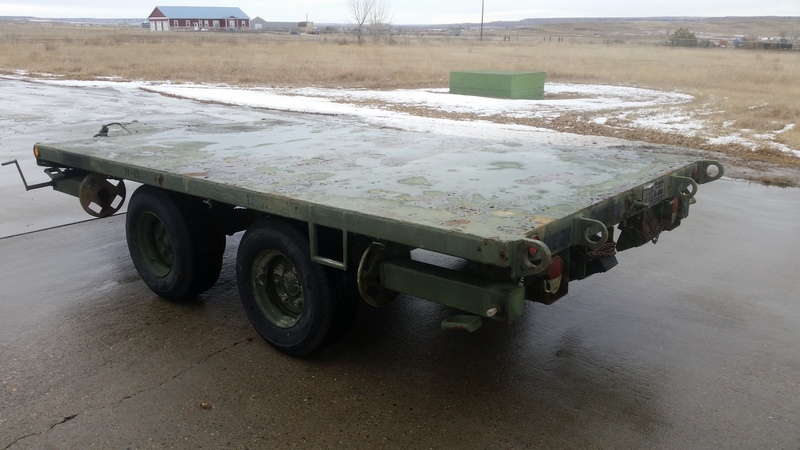 The trailer is located in Glendive, MT. 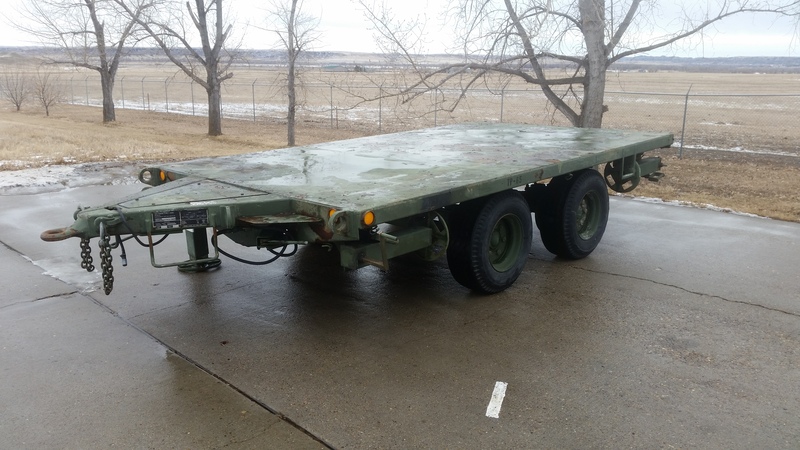 If you would like more information, pictures, or to check it out, give me a call, text or email.